Our goal is to provide quality patient care in a comfortable friendly atmosphere. Our dedicated staff helps strengthen patients and leads them through recovery while "treating everyone like family." At Center for Physical Therapy we recognize the value of the individual and are guided by our commitment to excellence and leadership. Helping patients recover from injury and returning them to their daily lives is our first priority. We develop customized treatment programs to meet the specialized needs of each individual. We provide state of the art care in a friendly, family and often fun environment. Our dedicated team of physical therapists—specializing in orthopedic, pediatric, and aquatic therapies—are committed to ongoing continuing education to ensure professional growth. 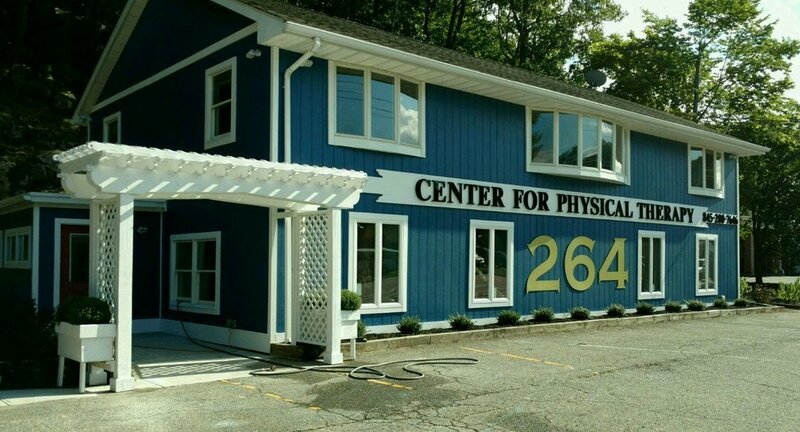 It is this winning combination of clinical expertise, commitment to patient care and a strong community reputation that sets Center for Physical Therapy apart and makes us the number one choice for both doctors and patients in the Hudson Valley. Are you one of the millions of Americans suffering from low back pain (LBP) on a daily basis? If so, read on. Scoliosis is the change in the natural curvature of the spine typically in the mid or lower back. The curves of the spine are detected from a physical scoliosis screening and x-ray imaging. The shoulder is a complex joint with a great amount of mobility. The shoulder joint can move through 180 degrees of motion as we raise our hands overhead. However, a variety of conditions may limit our ability to move our shoulder through this great deal of mobility. Osteoarthritis is the breakdown of the cartilage at the end of the bones, resulting in degeneration of the joints. Osteoarthritis is common in the knees, hips, spine, and hands. Let’s face it, sometimes the simplest movements are the ones we take for granted, including getting up from a chair. What child does not get excited when choosing his/her backpack for the new school year? Besides looking at what superhero or princess is on the backpack, there are several characteristics to look for when purchasing a backpack to prevent injuries. Backpacks can be very problematic for posture and body mechanics. The most common injuries occur at the neck, shoulders, and back from poor use and size of the backpacks. It is official, summer is here! With the transition of the seasons, comes the transition of our footwear. It feels great to kick off those winter shoes, and dust off your summer sandals. For some, maybe it’s no shoes at all with the freedom of being barefoot. Unfortunately, our feet may pay the price in the summer with a possibility of developing the dreaded diagnosis of plantar fasciitis. Plantar fasciitis is the inflammation of the band of tissue on the bottom of the foot from the toes to the heel, often causing heel pain. Who doesn’t look forward to warmer temperatures and the first day you can ditch those winter boots or restricting work shoes and put on a pair of flipflops? Flip-flops are a very common footwear. Although the idea of flip-flops may bring pleasant thoughts, your feet could be paying the price. Here are a few common problems that may be associated with flip-flops with poor support.